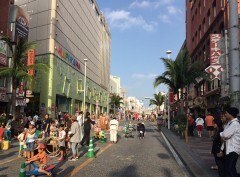 Every Sunday, from noon to 18:00, Kokusai Street, the most famous street on Okinawa, changes to a pedestrians-only street called Transit Mall. 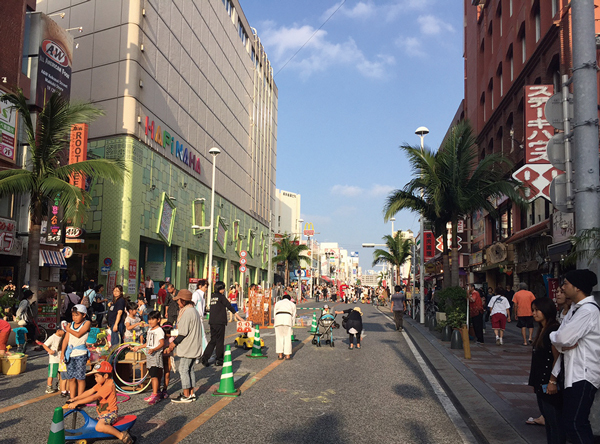 The pedestrians-only street stretches about 1,300 meters from the Kumoji Crossing to the Saion Bridge crossing at the Makishi district. The area features food booths and street performers along the street. The Transit Mall project started in 2007, and was created as a re-activation effort of Kokusai Street. If the weather is rainy, the Transit Mall can be canceled.